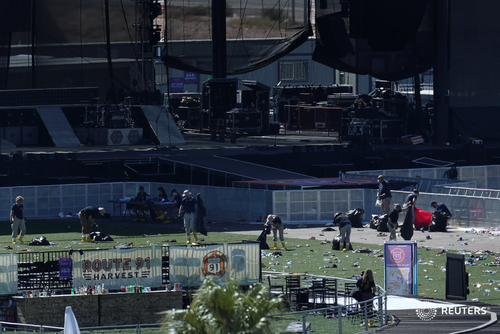 At least 59 people are dead and hundreds wounded at a country music festival on the Las Vegas Strip. Speaking with reporters before departing for Puerto Rico, President Trump was asked about gun control. "We'll be talking about gun laws as time goes by," he said. Trump would not answer a question about whether he considered the Las Vegas shooting an incident of domestic terrorism. "He was a sick man, a demented man. Lot of problems I guess and we're looking into him very very seriously, but we're dealing with a very, very sick individual." Two Florida lawmakers will propose legislation to ban assault-style weapons tomorrow, a press statement issued on Tuesday said. State Senator Linda Stewart and Representative Carlos Guillermo Smith are both Democrats and each represent the Orlando area, where 49 people were killed in a nightclub massacre in June 2016. The legislation is likely to face an uphill route because the Florida legislature is dominated by Republicans. The pair offered similar legislation early this year that was not heard in either of the legislatures two chambers. Stephen Paddock appeared to be settling into a quiet life a few years ago when the 64-year-old apartment manager and avid gambler bought a home in a quiet Nevada retirement community about an hour's drive from the Las Vegas Strip and his beloved casinos. 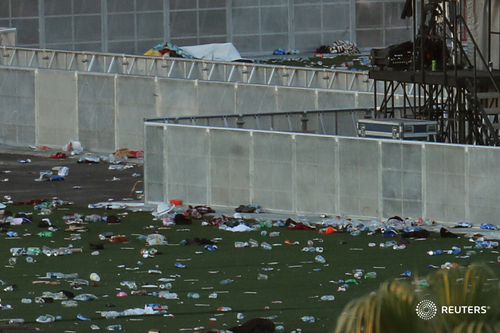 Paddock’s motive for the murders, as well as his motive for assembling an arsenal of weapons and explosives that could have done even more damage, remain a mystery. So far, this official said, investigators have found no evidence of even incidental contacts with foreign or domestic radical or religious extremist groups, and no underlying pattern of lawbreaking, hate speech, or other possible precursors to the events in Las Vegas. 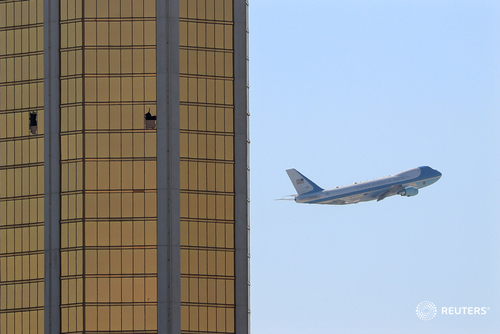 Nor has the inquiry turned up any possible personal or financial source of Paddock’s anger or why it was directed at a country music concert in Las Vegas, or why he chose the Mandalay Bay hotel beyond its proximity to the concert. “We cannot even rule out mental illness or some form of brain damage, although there’s no evidence of that, either,” the official said, speaking on the condition of anonymity to discuss the ongoing probe. The inquiry is complicated by the fact that while the NSA can search its records of communications with foreign terrorists or others to see if Paddock had any contacts, it is not possible to assess everything he might have read or saw online or in print or heard on the radio, in podcasts or elsewhere, especially if he took care to cover his tracks. "Beyond going through financial, medical, and phone records, personal notes, interviewing neighbors, employers, relatives and everyone else who had contact with him, we’re dealing with an information environment that’s so extensive pervasive, and so global that it probably will be impossible to ever say we looked at everything,” the official said. That has law enforcement officials more concerned than ever before about how to detect and prevent copycat attacks. 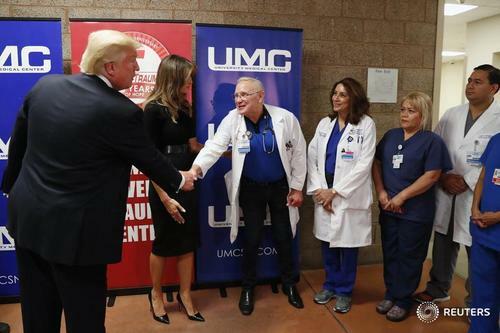 “There is no way to know who around the world has seen or heard about this and said to himself, ‘I can do better than that’ for some cause or just because he or she is twisted,” the official said. "I will bet any amount of money that (law enforcement) will not find any link to anything," Eric Paddock, the gunman's brother, said via text message. "Steve he did this completely by himself. "There won't be any funeral, because Steve had no religious affiliation very few friends and we wouldn't want to make this into some kind of a circus. If it could possibly help somebody by doing it, we would consider it but I just can't imagine how it could possibly possibly be a positive thing." William Irelan,a 42-year-old Lyft driver, spent most of the day Monday shepherding locals to blood banks to donate blood, rather than his usual customer base of tourists tooling around the Strip. By 9 a.m., he said, there were 400 to 500 people in a line that wrapped twice around the blood bank building. Senate Majority Leader McConell says appropriate time to discuss legislative solutions to gun violence would be at the end of the investigation into Las Vegas. Paddock's case is extremely rare if not unique in that he left behind no clues to his motives, said Craig Jackson, a psychology professor at Birmingham City University in Britain who has studied spree killers for the past 10 years. "We usually find something there in the background where they see themselves to be the victims. No one has listened to them and they feel this is the last recourse," Jackson said, adding that spree killers typically leave behind a manifesto or video diary. "If there is something, I think we would have found it by now," Jackson said. Spree killers usually suffer from a personality disorder that psychiatrists call narcissistic injury, he said. "They see themselves as the victim and they take out their frustration on the people they shoot. So we use this term narcissistic injury because they are narcissists who believe they have been wronged, they're the victims, and they believe it's their last recourse to get someone to listen to them and pay attention to them. They believe they're perfectly justified in killing the people they do because they want to get their point across," Jackson said. A dozen firefighters were shot while they were trying to help other members of the audience, Ray Rahne of the International Association of Fire Fighters told reporters. "Two of these members were shot while performing CPR. This is a true feat of heroism on their part," Rahne said. Rahne is a district vice president for the International Association of Fire Fighters. An IAFF spokesman, Mark Treglio, said the dozen firefighters were attending the country music festival and were off-duty. Lombardo says Bureau of Alcohol Tobacco and Firearms is investigating question of the automatic, won't comment further. 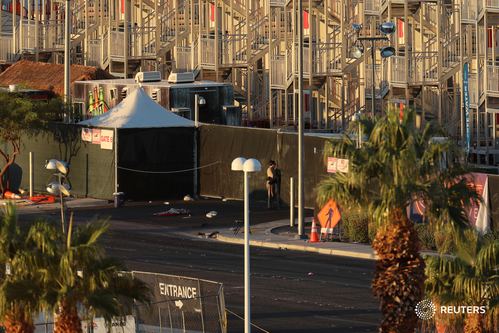 Police say gunman in Las Vegas shooting placed cameras inside and outside of hotel room. Trump says that a debate on gun control after Las Vegas massacre "perhaps" will come, but says it's "not for now." 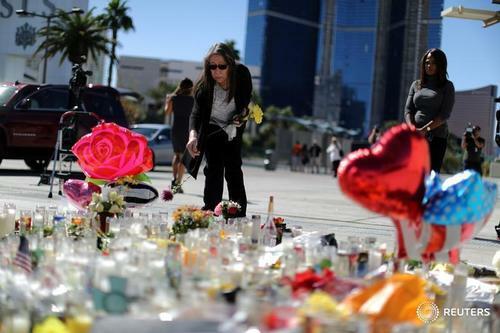 Law enforcement officials puzzled over what motivated a retiree with no criminal record to assemble an arsenal in a high-rise Las Vegas hotel and rain gunfire onto a outdoor concert for nine minutes, killing at least 59 people. 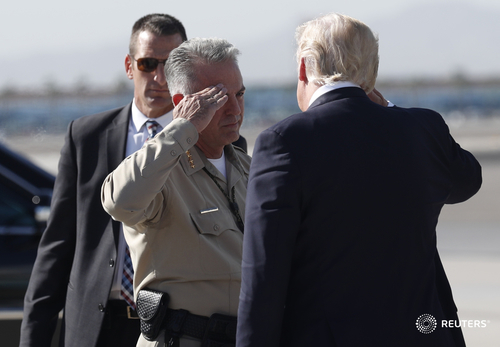 - In the wake of the shooting in Las Vegas, President Trump said that debate on gun control is "not for now"
The girlfriend of the retiree who killed 58 people in a massacre in Las Vegas is returning to the United States from the Philippines, sources at Manila's international airport said on Wednesday. Some 317 of the 489 people injured in Las Vegas shooting have been discharged from hospitals, according to the Las Vegas police. They add that the shooter "meticulously" planned the attack and spent decades acquiring weapons and living a secret life. 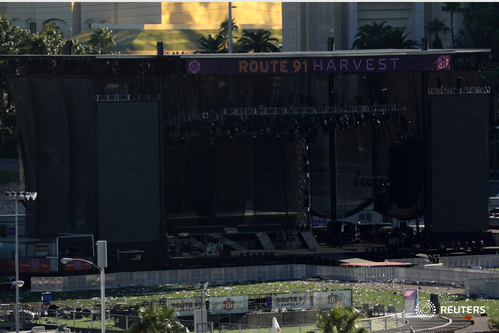 Authorities say no one has been taken into custody as a possible accomplice in Las Vegas shooting. Also, the FBI says no evidence at this point indicate terrorism.